Solan is The Largest Producer of Mushrooms And Tomatoes in The Country. Solan is a gorgeous hill station in Himachal Pradesh, about 50km from Shimla. It usually serves as a gateway to other popular hill stations like Kasauli, Kalka and Chail. However, it’s paradise for those who’re looking for complete peace and quite in the hills. 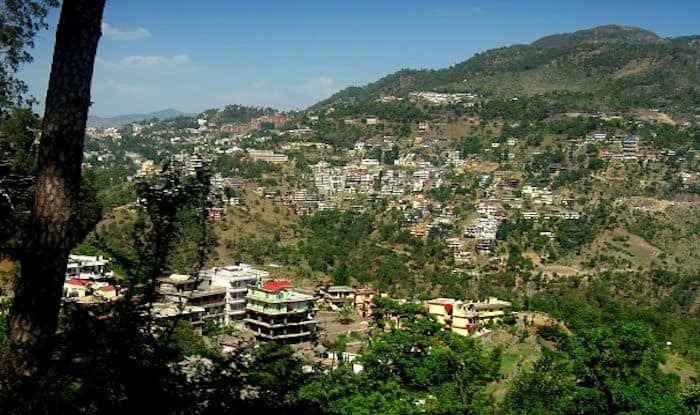 Solan is largely a forested land surrounded by hills and mountains and is often touted as the ‘city of red gold’, because of the bulk production of tomatoes in the area. Interestingly, it is also acknowledged as the ‘mushroom city of India’ by virtue of being the largest producer of mushroom in the country. What makes Solan such a gem is the thrilling landscape, luscious wildlife, down to earth people and fantastic food. Not only that, Solan is a land with a rich and multi-layered history. This is the place where every nook and corner has a story to tell. Legend has it that the place was once inhabited by the Pandavas. There is a cave on the top of the Karol peak in Solan; where the Pandavas resided here during their exile. Dagshai, one of the oldest cantonment towns in Solan, is where the Irish mutiny of 1920 took place against the British Army. In the early 19th century, Solan was heavily occupied by the Britain. The British influence especially on the properties can be seen even today. The chapel in the contaminant area is a stylish, heritage church of Solan. Inside the church, one can see beautiful wood and stone carvings. Solan is also famous for the Shoolini Mata Temple; it is believed that the name of the town is derived from Goddess Shoolini. When in Solan, you’ve got to try the oldest brewery and distillery in Asia for Scotch whiskey. Known as the Mohan Meakin Brewery, the equipments related to brewing and distilling that’s used here was brought by Edward Dyer in the 19th century. It was established on the outskirts of Solan because of similar climatic conditions as Scotland and the availability of spring water. For those of you looking for adventure, camping and trekking are the best outdoor activities to enjoy in Solan.Although any time of the year is fine, a visit during February to November is a little special due to the gorgeous winter climate. The nearest airport from here is the Shimla Airport, about 45 minutes away by car. The second nearest airport is the Chandigarh Airport, which is a two hour’s drive from the city.